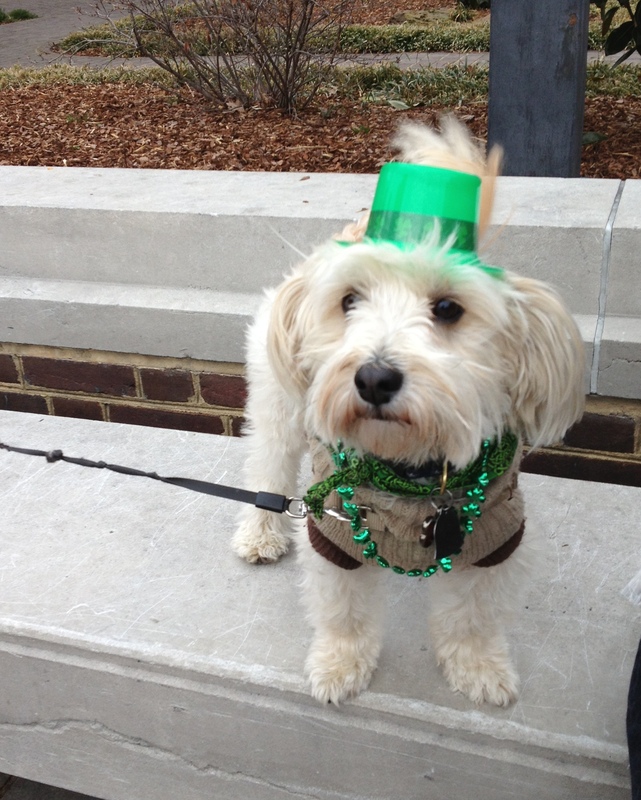 Spring is in the air, or, at least we hope it will be back in the air next weekend, when Old Town Alexandria celebrates St. Patrick’s Day! 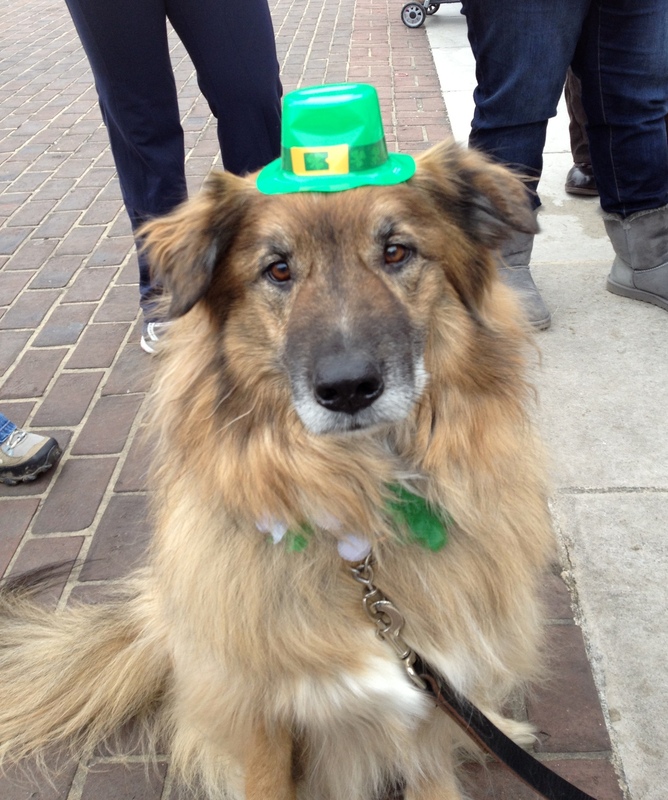 The parade hosted by the Ballyshaners begins at 12:15 p.m., but before that, there is a fun dog show in Market Square where your pup can show off their Celtic spirit. Dogs begin to gather at 10:30, after the Farmers Market, then judging begins at 11:00. Dr. Katy Nelson, the host of The Pet Show with Dr. Katy, will serve as the judge and master of ceremonies, and Lucky Dog Animal Rescue is once again the primary beneficiary of the event. 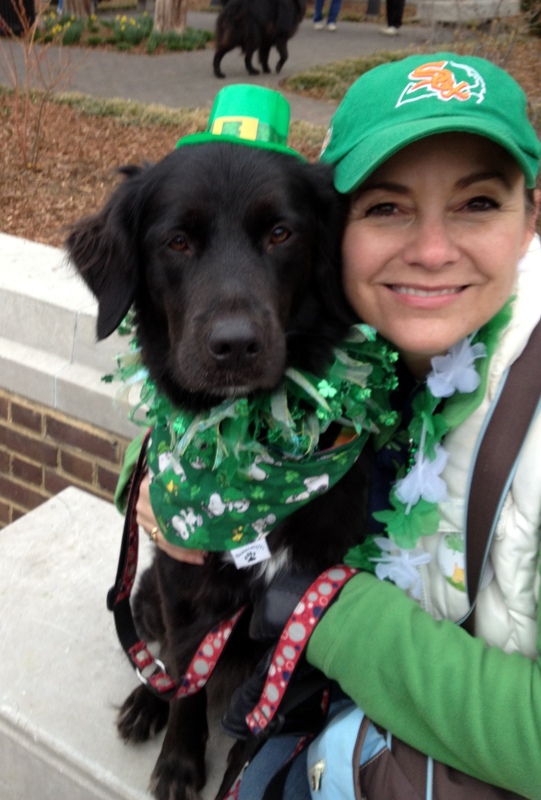 Here are some pictures from last year, when Sundae and I did a little wearin’ o’ the green, along with a lot of other Irish-for-the-day dogs and their owners! Check out more photos from last year’s dog show, car show and parade here. « ‘The Lucky Ones’ screening is tonight–watch the trailer!